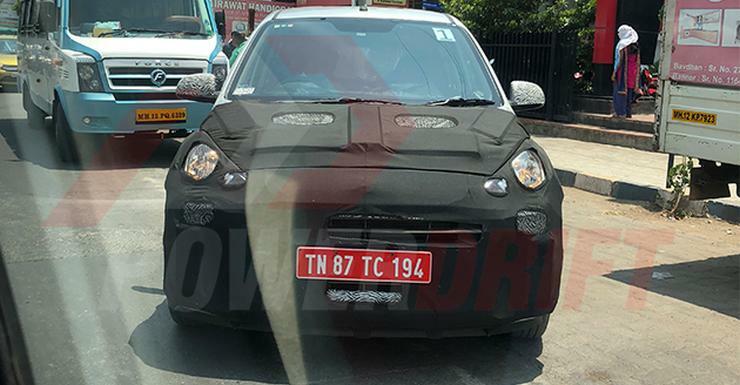 New spyshots of the 2018 Hyundai Santro hatchback have emerged on the internet. 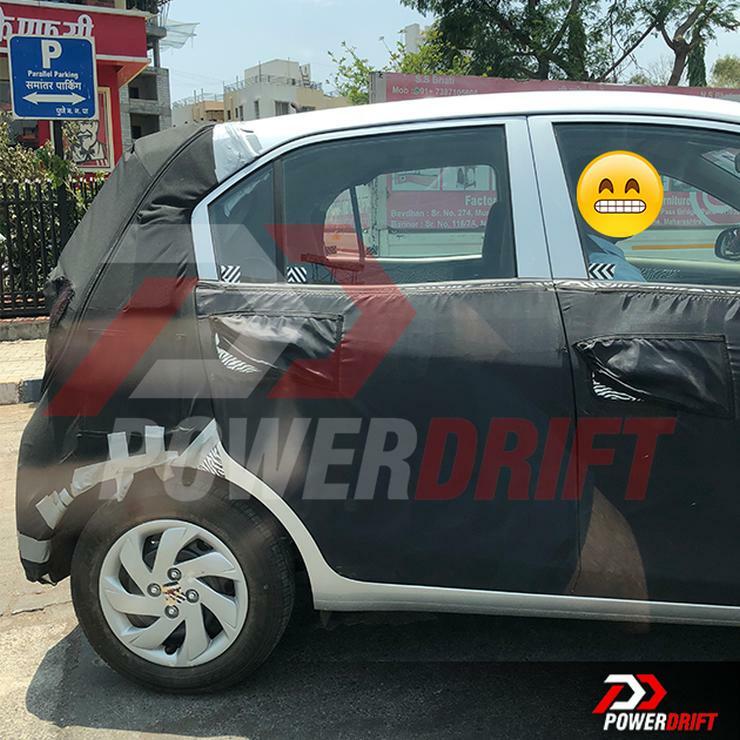 The hatchback, which will be launched in the second half of this year, will compete with the Maruti Alto K10, WagonR, the Renault Kwid and even the Tata Tiago. 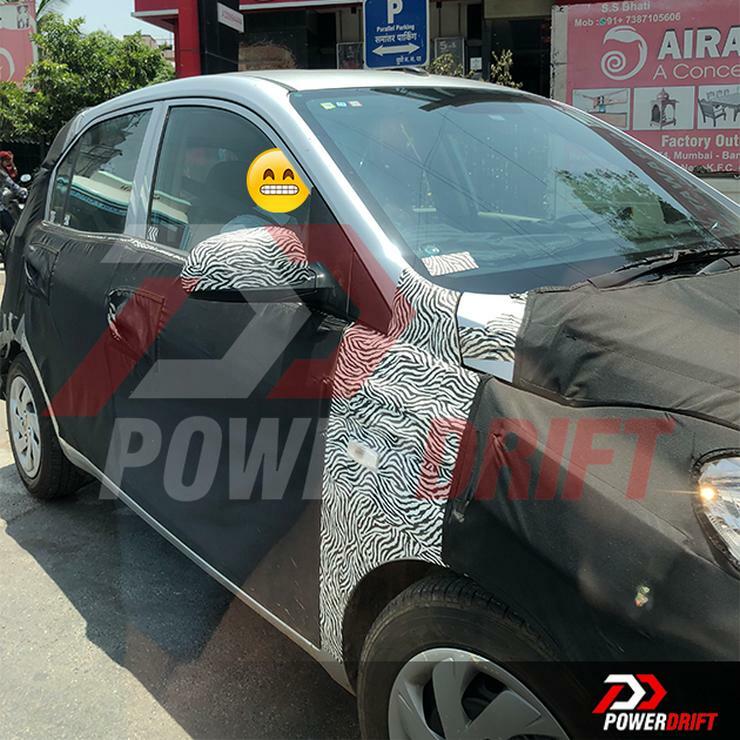 The new spyshots reveal that the Santro is likely to be much larger than the Eon, and a replacement to the i10. It seems to be riding on 14 inch wheels, and tyres. The car will be a tall-boy in terms of design, just like the original Santro. An airy cabin is what we’re able to make out from the spyshots. Hyundai. for its part, is yet to confirm whether the Santro badge will be brought back on this entry-level hatchback. The car will use a 1.1-litre, four-cylinder petrol engine. This motor could be the same unit that the i10 used to feature in its last years of production in the Indian market. While a 5-speed manual gearbox will be standard, an AMT option will also be offered. The 2018 Santro will be the first-ever car to feature an AMT option. Eventually, more entry-level Hyundai cars sold in India are likely to borrow the AMT from the Santro. The Santro will have a starting price of around Rs 3-4 lakhs. This will slot the new hatchback between the Hyundai Eon and the Grand i10 in terms of positioning. Hyundai is expected to offer LPG and CNG variants in specific markets of India even as the petrol engine will be standard on the new hatchback. This is a similar strategy that Hyundai has adopted with the Eon. The company currently has no car that rivals the likes of the Tata Tiago and the Maruti WagonR, a segment that is too big for it to ignore. This is exactly why the Santro has a much larger, 1.1-litre petrol engine that puts it well above the Hyundai Eon in terms of punching weight. Pre-bookings for the car will open a few weeks ahead of launch. Watch this space for more details. « The OX is a pickup truck you can assemble at home; Brought to India by Shell!